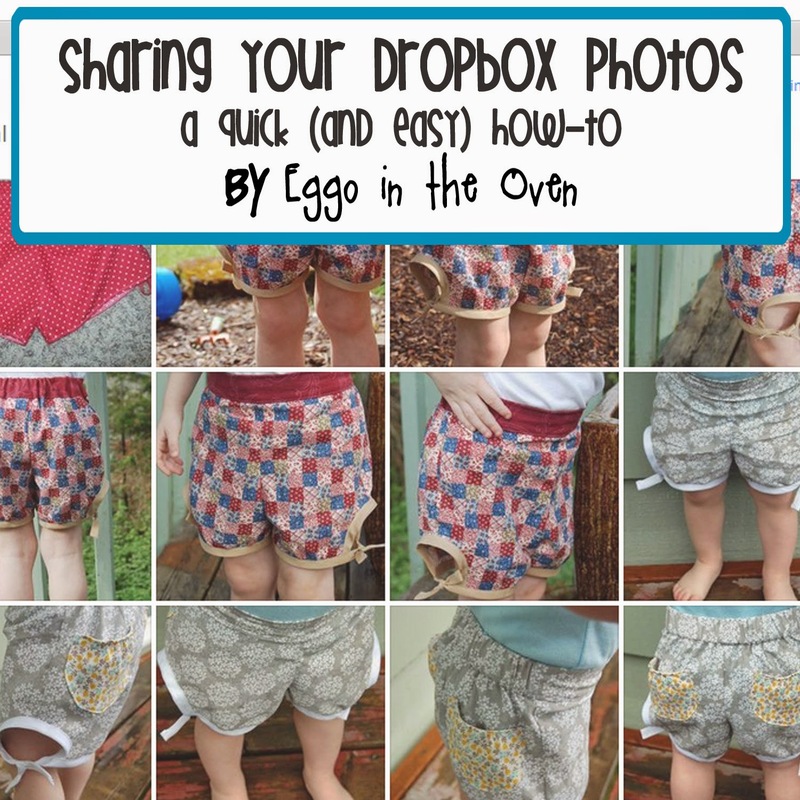 I recently started using Dropbox when my old laptop was on the fritz and I really needed to backup my photos / PDF patterns (there are lots.... of both). I thought that would be all I'd use them for - but now I'm wondering "What did I do before Dropbox?!" .... Yes, I'm sure that all five of you who are reading this are thinking "Seriously?! She JUST started using Dropbox?!" I know, I know..... I've never been trendy / cool / the first to try something. So why change now?! But... it's great. I use it constantly. I pull up my PDF patterns, I back up my photos... and even better?! 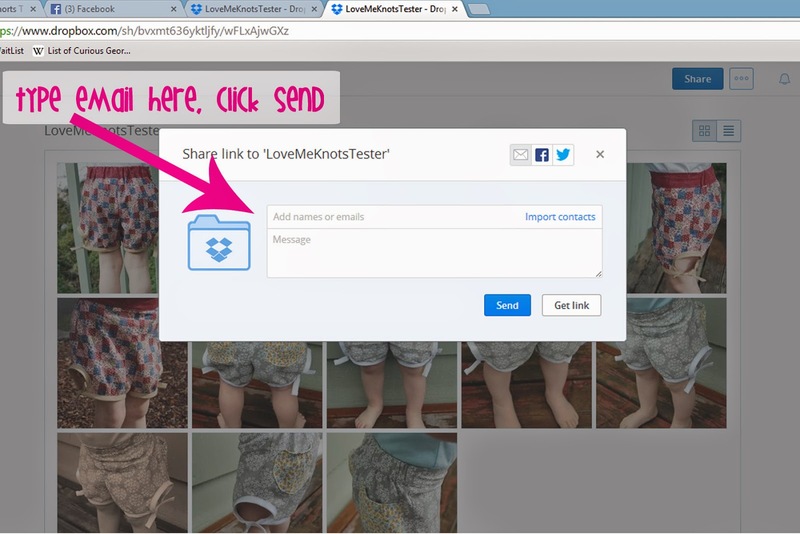 I can share photos without having to send 18kazillion emails with just as many attachments - simple dimple, one link or one email and the person can see all the photos - and download them if they want. And I can add to the folder I already shared with them if I add more! Step 1 - open the folder that has the photos you want to share. 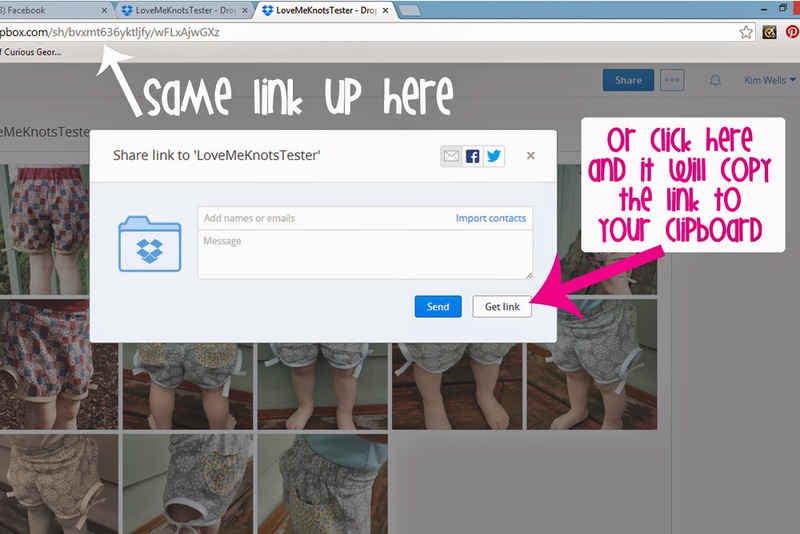 Here you see I'm sharing the "LoveMeKnotsTester" photos - you can see all the pictures there in the list. This will pull up a window - as seen in the next photo. You now have a few options! Option 1: type the email address(es) you want to share the folder with. You can even include a message in that bigger box. Then click send! But maybe you just want the web address....? 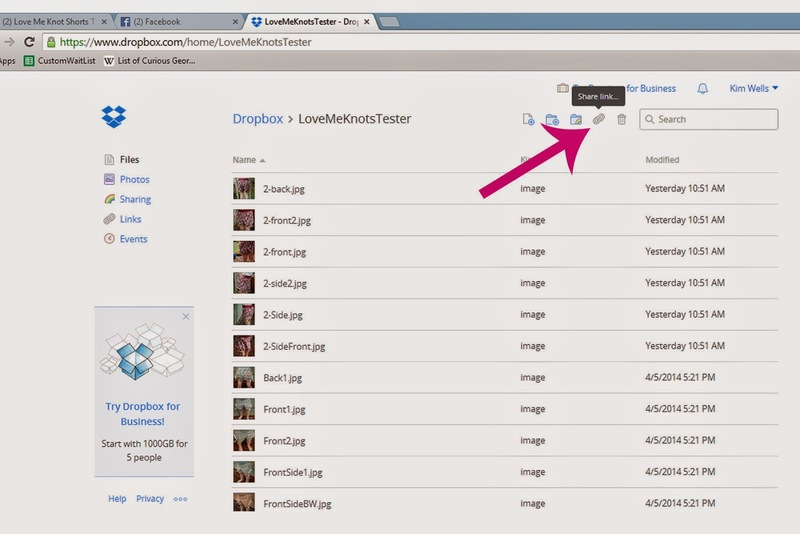 A little tip: You'll notice the link is also visible in your browser bar - it's the same link! So you can also copy and paste from there! Let me know if you have any questions - or if this was helpful - I love to hear from you!